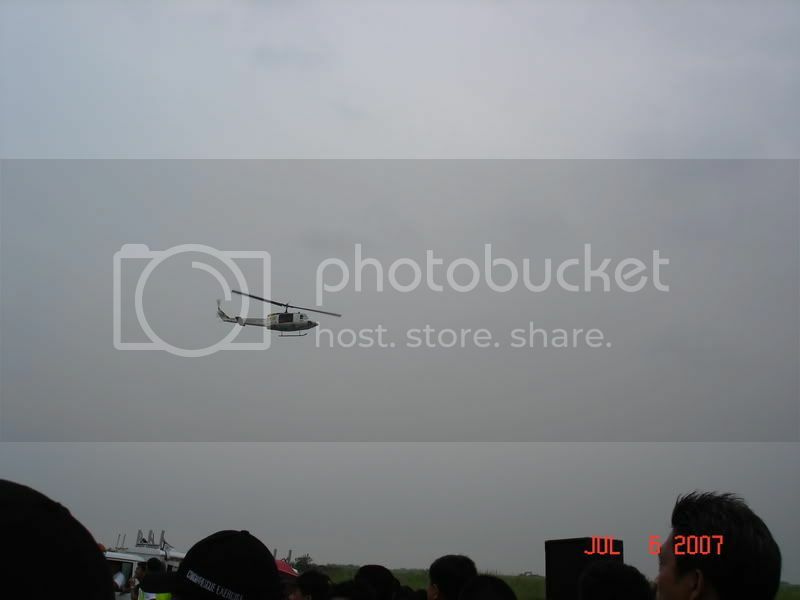 On July 6, 2007, a delayed flight, CREX-07, a passenger plane carrying 100 passengers and crew takes off at Manila International Airport's Runway 24 at exactly 9:54 A.M. bound to Laoag International Airport. Three minutes later at several thousand feet altitude, Manila Control Tower (MCT) initiates a communication for a hand-off on flight CREX-07. But before effecting MCT hand-off to Radar, the said aircraft suddenly develops an emergency of unknown cause, forcing the pilot to maneuver. Thereafter, the pilot relays messages of aircraft-in-distress and requests MCT for an emergency return flight. Seconds later, MCT loses communications with the aircraft. At this point, MCT supervisor alerts MIAA Rescue and Firefighting Service with the information at hand, alerts all ACRO members and other concerned agencies in the Support Group for a probable downed aircraft. 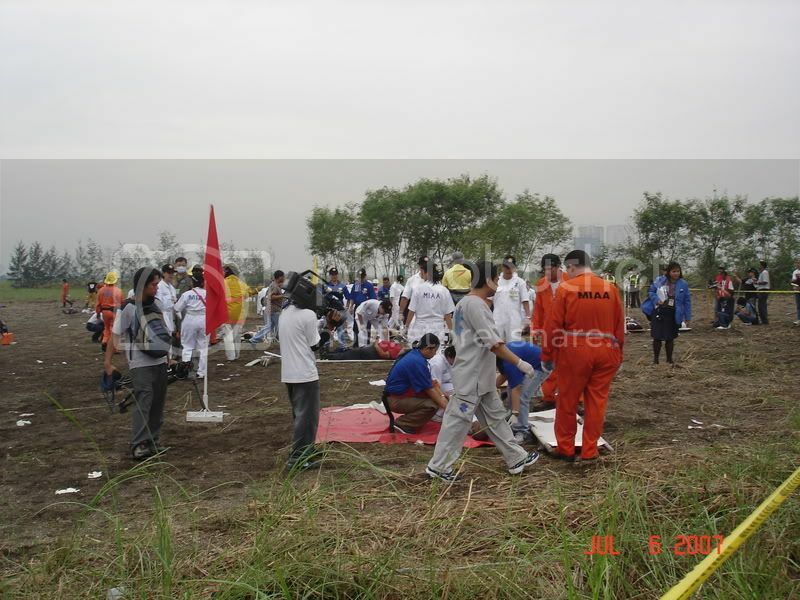 Fire, Medical and Police Services proceed immediately to a presumed location somewhere in the vicinity of Diosdado Macapagal Boulevard along Manila Bay Area using grid map for an accurate route leading to the incident site. 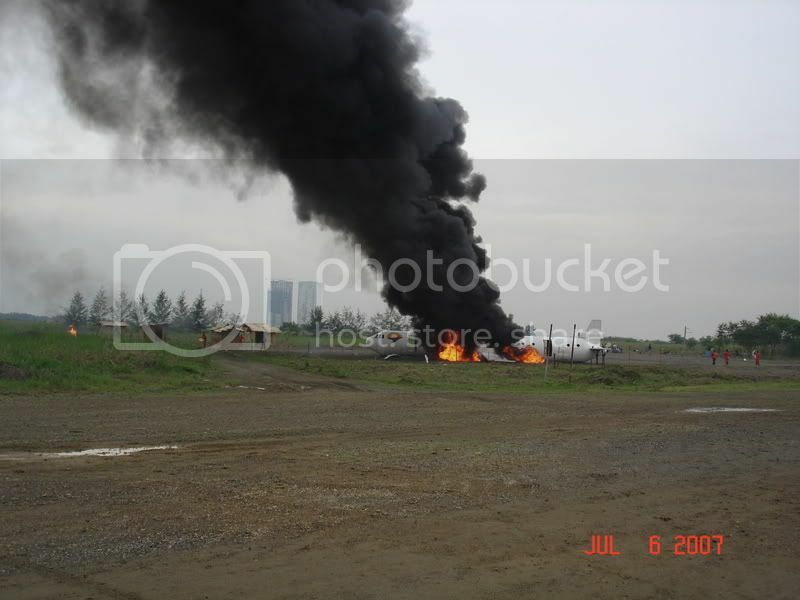 The location of the ill-fated aircraft was finally found by the responding fire and rescue teams. 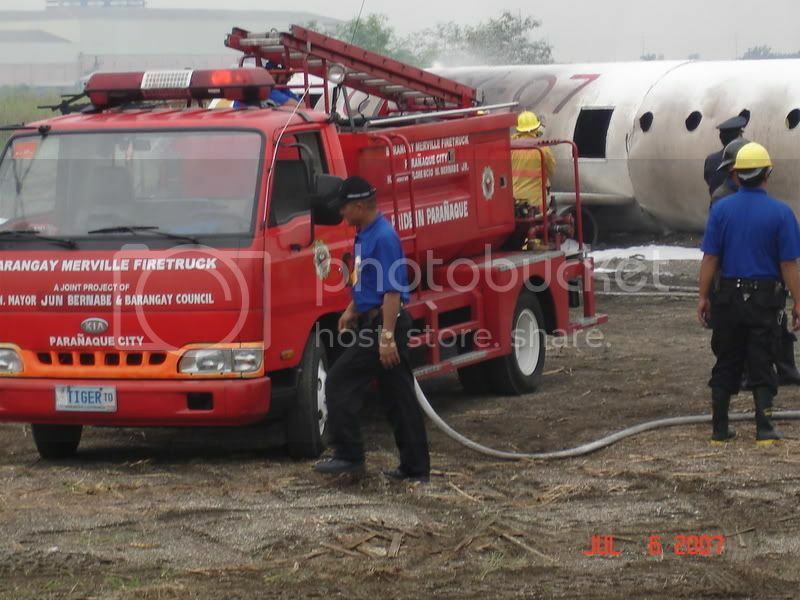 Among those who responded to the crash site were members of the Barangay Merville Fire and Rescue Team led by Nestor P. Mose and Froilan L. Montecillo, Team Leader and Assistant Team Leader, respectively. 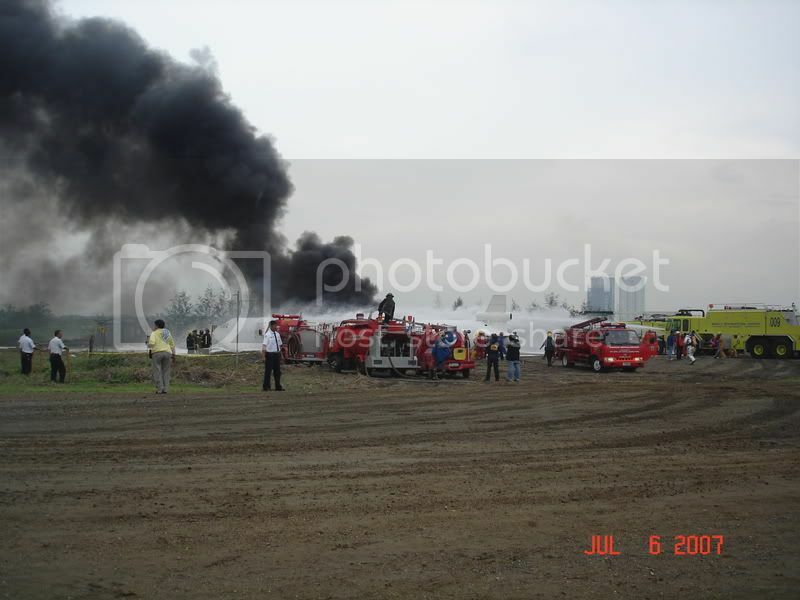 Barangay Merville Fire and Rescue Team with other fire-fighting units led by MIAA Fire and Rescue Team race against time to save the lives of the plane's passengers and crew as well as those residents near the vicinity hit by the downed aircraft. 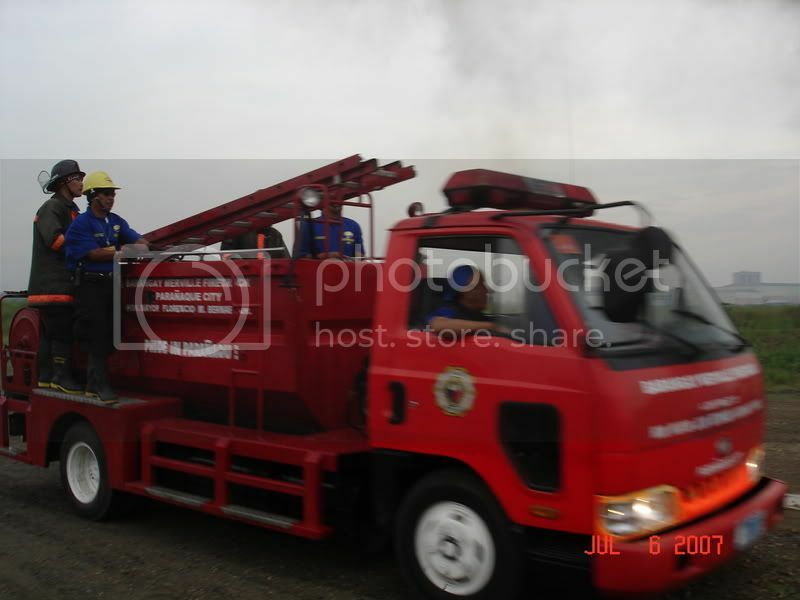 The capability of Barangay Merville Fire Fighting Unit during times of disasters such as this has been proven once more being one of the major responding units in this incident. 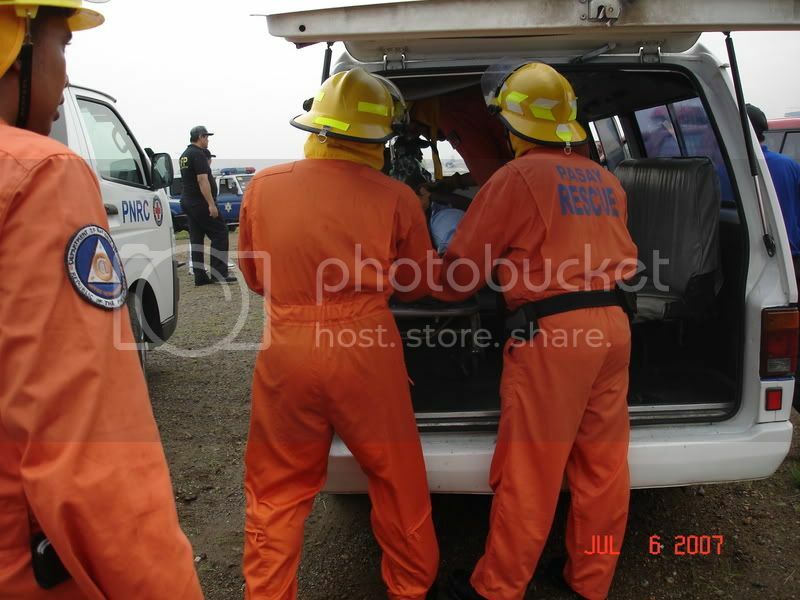 Barangay Merville Emergency Rescue (Rescue 309) Unit is also seen rushing to the crash site. Rescue 309 First Responders Bobby Mapa and Eduardo Barba prepare the crash victims to be transported by Rescue 309 ambulance to the nearby hospital. 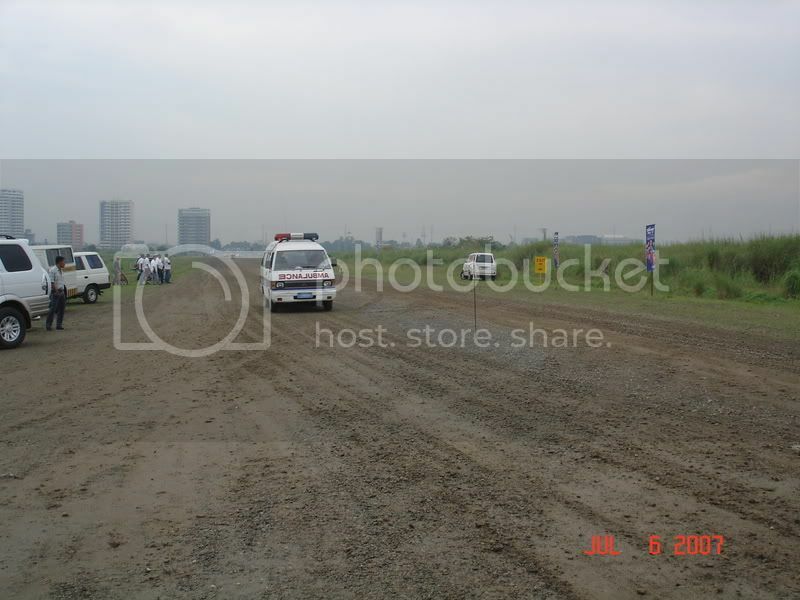 MIAA Medical teams led by Dr. Rillo including those from various agencies, organizations and hospitals rush to the aid of victims seen scattered around the crash site. Rescue 309 Ambulance has been able to transport crash victims from the crash site to the nearby hospitals up to six (6) round trips. 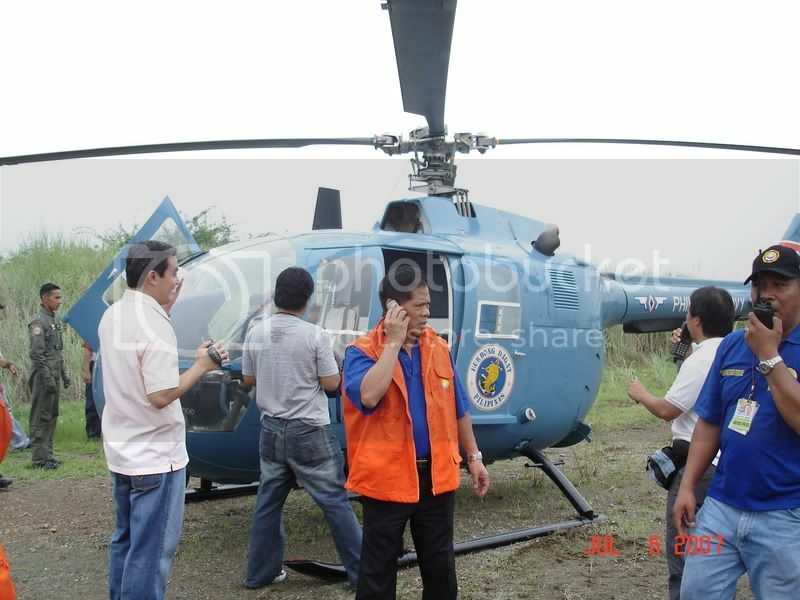 Rescue Team from the Philippine Air Force aboard a helicopter arrives at the scene to transport seriously wounded victims. Unfortunately, one rescue helicopter developed engine trouble that forced M/Gen. 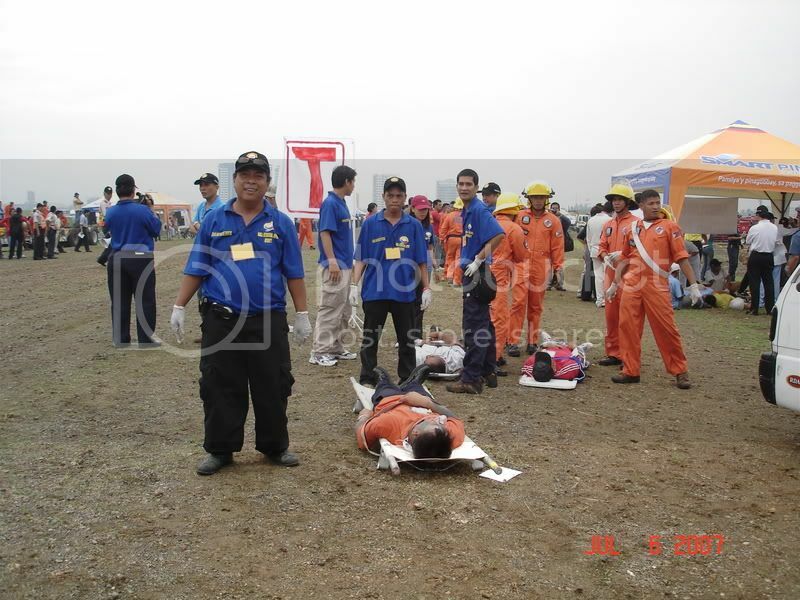 Angel Atutubo, MIAA Assistant General Manager for Security and Emergency Services and Incident Command Post Commander (wearing orange vest jacket) to ground the said aircraft pending the arrival of aircraft mechanics he called thru the MCT.>>>>>>>>OOOPS!...the above scenes you have seen were only part of the CRASH AND RESCUE EXERCISE (CREX) 2007 initiated by the Manila International Airport Authority (MIAA) led by M/Gen. Angel Atutubo. 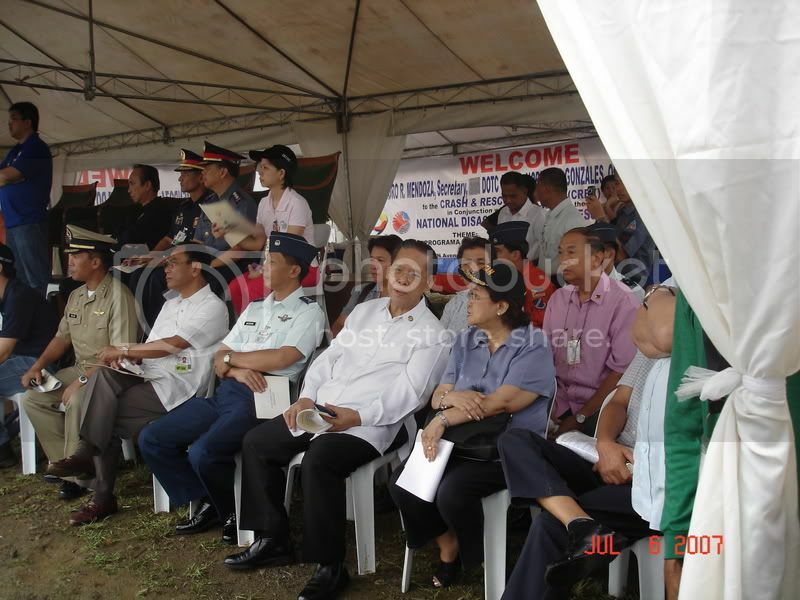 Merville Barangay Captain Gloria C. Gutierrez (seated third from right) with some guests mostly government officials and media people watched the CREX 2007 drill intensely from a distance. 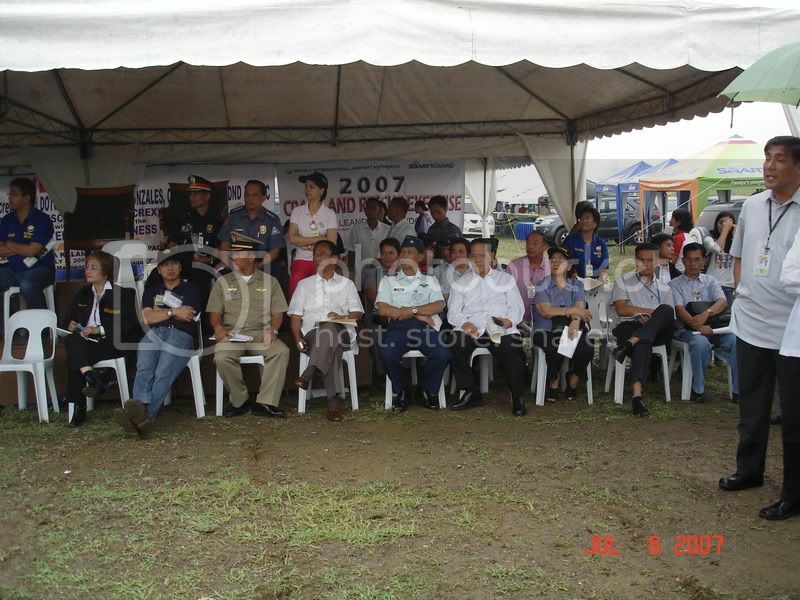 Barangay Captain Gloria C. Gutierrez was congratulated by one of the VIP's for the active role and participation of Barangay Merville Fire & Resue Team to the CREX 2007 at the end of the said exercise. 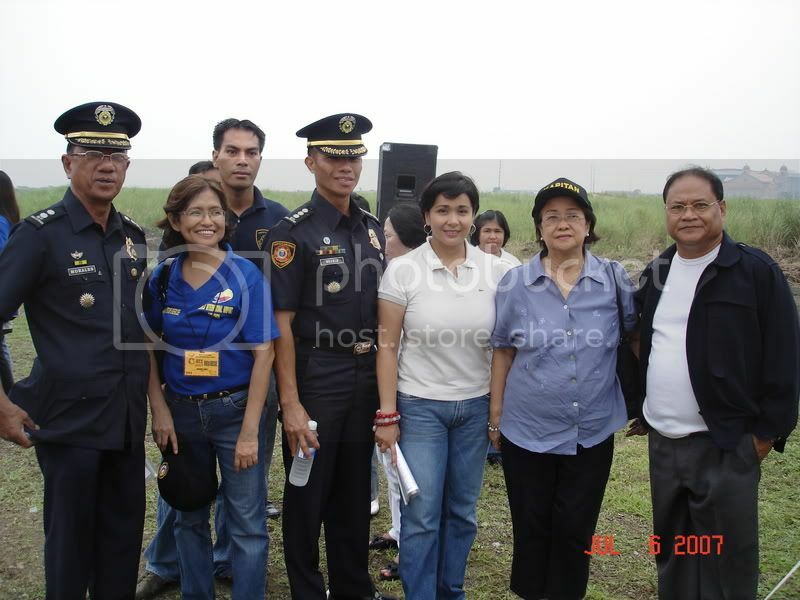 Parañaque City Councilor Alma Moreno (third from right) arrived to watch the CREX 2007. Also seen in the picture is Baclaran Barangay Captain Roland Cailles (far right) whose Fire and Rescue Team played a major role in the said exercise. 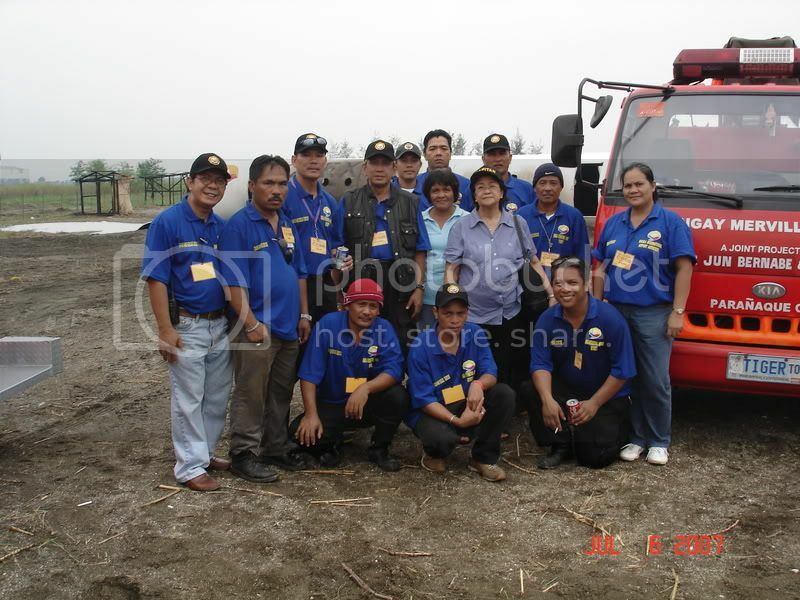 Barangay Captain Gloria C. Gutierez poses with the members of the Barangay Merville Fire and Rescue Team who participated in the recently concluded CREX 2007. 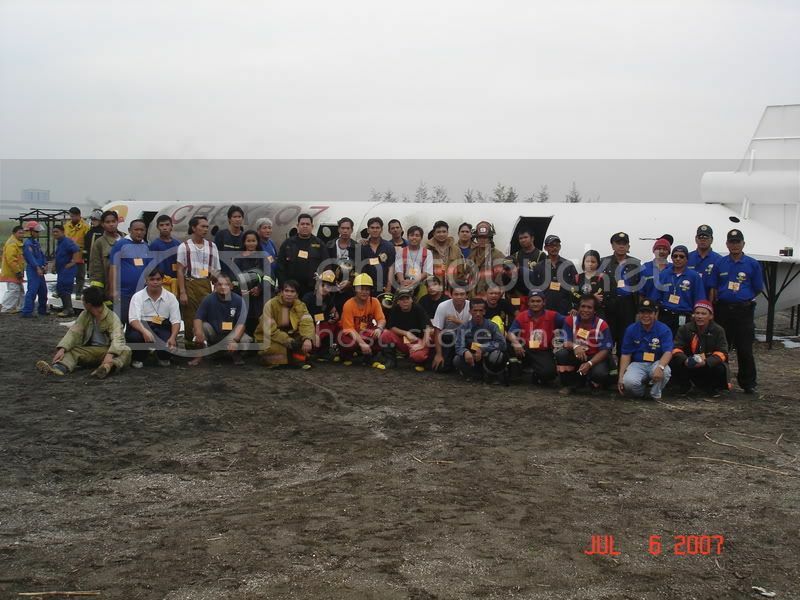 Members of the Parañaque Alliance of Fire Volunteers (including Barangay Merville) pose for posterity at the culmination of the exercise.